Leading Manufacturer of potato batch fryer, chips making machine, maida mixing machine and potato peeling machine from Kolkata. 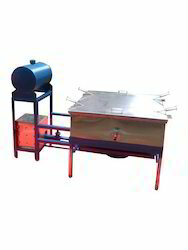 We are the supplier and exporter of excellent range of Potato Batch Fryer. This process is very much time consuming and needs hard labour, which makes the production cost. These are fabricated using quality assured raw material, which are sourced from eminent vendors of the nation. Made with quality steel, these machines are highly efficient and corrosion proof. We are the manufacturer and supplier of wide range of Chips Making Machine. The offered machinery is designed and manufactured by our professionals as per the set industry norms using supreme class components. These machines are fabricated in compliance with quality standards using premium grade raw materials and advanced engineering techniques. 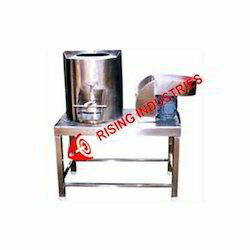 We are a prominent manufacturer of a wide range of Maida Mixing Machine. 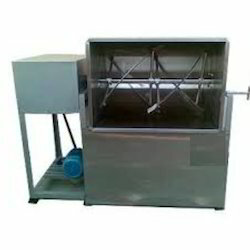 We are a credible name to offer Potato Peeling Machine that is known for its dimensional stability. Resistant to wear and tear, it is widely praised among our clients. 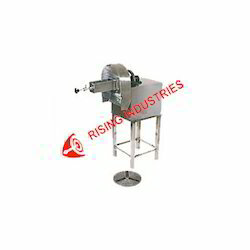 Owing to the fine finish and long lasting life of the offered machines, the entire range of the potato peeler is highly acclaimed among our client base spread across the nation.